Eliminate Glare! Enhance Color! Protection from UV Rays! 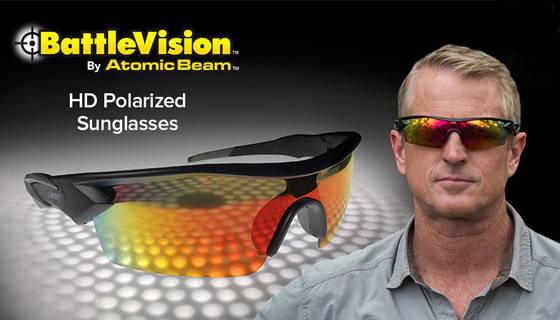 Get crystal clear vision when it matters most, with the BattleVision HD Polarized Sunglasses by Atomic Beam. 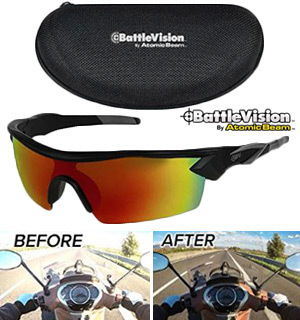 Made with high-tech polarized lenses, BattleVision sunglasses eliminates glare, enhances color, and provides your eyes with UV protection. The one-size-fits-all unisex design makes it perfect for all outdoor, everyday activities - driving, cycling, golfing, fishing, hunting, various seasonal sports, and much more. Each pair includes a zippered, hard-shell case. To clean, rinse with warm water, apply and rub-in a small amount of gentle soap, rinse, and dry with a clean soft cloth. Please Note: Our findings on the frames is that they are not quite as battle tough as the commercial will lead you to believe. Though the lenses are! These subglasses are no different than any other pair of glasses, except for the annoying color. Thr enclosed card for checking glare works for any pair of sunglasses. I would not buy. These sunglasses are stylish, sturdy, and priced right. Thats why I bought 2 pairs. Love the glasses, really like the rap around to protect my eyes. Frames are better than the original glasses I purchased on line. We are VERY pleased with the sunglasses. Easy on the eyes and dont darken the view like other glasses. We got 2 pairs and liked them so well we got 2 more, 1 for our son and a spare in case something happened to one of ours. I am enjoying my sunglasses ... they provide a soft & clear look at a sun-drenched day. They take away the piercing glare I noticed in previous pairs of sunglasses. Now I am ready for the Summer ! works very well day and night. Perfect fit and love the sun protection. They do not make the daylight dark just protects my eyes!! See everything clearly without making it dark. No glare!! Love these glasses. The set is a bit too tight on the ears and after a few minutes start hurting. other than that a great product. What can I say, I was looking into this type of sunglass, and there they were. Pulse had them at a great price and they came in in record time. Now I know that you want to know about the performance of the glasses.There great, they do just what they say theyll do. I live on Merritt Island, FL lots of sun and use them every day. Buy-em youll like-em. 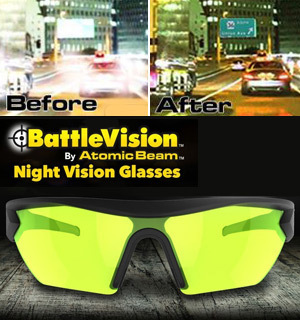 I have two pair of the BattleVision glasses, one in the car and one in the truck. The glasses are wonderful and I wear them every sunny day. Sure beat the regular sunglasses I was using.Great buy! I heartily recommend them. My only disappointment with the sunglasses is that the rubber earpieces mess up my hair. I know theyre there for a reason - to keep them from slipping. But I wear them only when Im not going anywhere special. These sunglasses work better than any I have ever owned! Real no glare protection for a low price. Perfect for while riding a motorcycle. Over the years Ive had a lot of sunglasses...living in Scottsdale AZ where sunglasses are an absolute must if you dont want to go blind from the wicked bright sun light-so YES these do minimize the amount of light striking your eyeballs BUT in the process SIGNIFICANTLY reduce your clarity of vision making everything appear hazy and in my opinion the trade off is simply not worth it! DONT BUY THESE! Like most people, I try to keep a few pairs of sunglasses handy. Bought these more for sports than for recreation and havent had a chance to use them on the golf course but they do seem well made, the case they come in is very well made as well. Bought two pair for my motorcycle riding. Fit okay, although glass maybe a tad small for me. 62 and 250 lbs. Local flea market glasses are $5 for UV protection. They are great I used them as safety glasses when Im cutting the grass. They are the best that I ever had. They make going out into the sun a pleasure.My eyes have always been super sensitive to the glare, not any more. I love them. 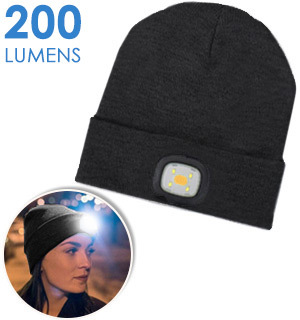 Great for blocking the bright sunlight without limiting needed light. For the price you cant go wrong with these Sunglasses. My only criticism of these glasses is, that if your wearing them in bright light and you go into a low-light environment then the light available to see details that may be necessary for whatever you are doing, may be difficult to see. All in All certainly worth the price. These are the best sunglasses Ive ever worn. The only downside is the frames are flimsy. After about two weeks, my wifes broke. However, PulseTV quickly sent a replacement pair. If you unfold the ear pieces at the hinges, youll have no problems. 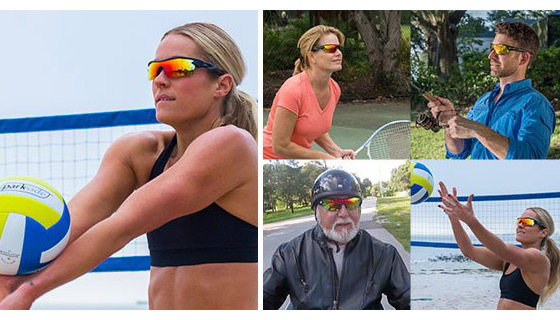 Great clarity, definition and contrast of images compared to other sunglasses. Just had cataract surgery on both eyes. Have been wearing glasses since I was 5 years old. My vision now is wonderful and was able to purchase non-prescription sunglasses for the first time in my life. These were the ones I ordered and I am really glad that I did. 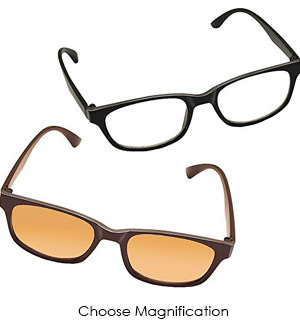 The polarization factor provides the best detail in the sun or shade. I simply love them. Also the wrap around of the lenses helps keep out other light. I highly recommend them for anyone! I like them although they are a little tight on my head. Good Socks Working Just Fine. I have used the day sunglasses most. They are a help in seeing better with glare. God Bless. My husband did not really care for them so he let me have. I liked the day I wore because they wrapped close to my dilated eyes keeping the sun out helping me from the glare of the sun. The sunglasses are really cool. They allow you to see everything much clearer. You wont go wrong with the price. After I received my sunglasses I went hunting the next weekend. Because I was wearing these I was able to bag 4 deer and their offspring in less than 5 hours. Lens are very close to skin and smudge. Unable to adjust. Clarity and color are excellent. Brightens view and clarifies as advertised. Good purchase. I have spent 10 times the price and never had a better pair. Light , comfortable and fit perfect. Highly recommend. I was hoping that they would help the glaremfrom the sun more - Im still squinting during the bright days. I tossed after one use. Really like these great job! I purchased these to see if they would fit over my eye glasses but they dont. So, I wasted my money. Cant say anything about their quality as Im not able to waer them. Very effective. 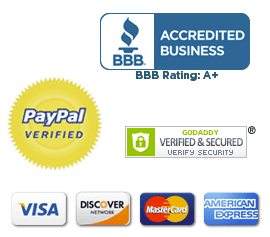 Very good product for the money. Love them thay work just like they say. Glad I got them. I believe these are about the best sunglasses Ive ever had. We have tried many, many pairs of sunglasses over the years. These are the best ones by far. They reduce the glare and wrap around for less glare from the sides. You can really see clear with these glasses. Nice glasses but you see two small red dots almost like taillights when it is sunny out and look at a vehicle in front if you. Reflection goes away if you turn your head. Glasses are descent but the 1st pair cracked on the top of the lens part I will have to put some super glue on it to fix it. I have a normal sized head so I dont know why the cracked. Didnt drop them hit them or anything like that they just cracked with just wearing them. These are good quality glasses that are comfortable to wear. Creates a crystal clear image in most lighting conditions, but occasionally a few red dots will appear from bright light reflecting off of something. I also do not like the bright red/yellow color of the lenses. If one listens to TV advertisements of similar glasses the examples shown describe a more pronounced level of glare reducing results. I dont know it the TV advertisements are exaggerated or if the glasses are truly different. In any event, These fit well, they do reduce glare some, but I would not have bought them had I seen the level of reduction that I have experienced. Excellent Item, All satisfied . Thank you. I can see for miles and miles . I found myself not sqinting. I have owned many pairs of sunglasses. None of which I could look in the line of the sun without squinting. These, no problem. Real quality for an insane price. Buy a few!!!! I bought five of these since I am always losing my sunglasses. they work great and the price was right. I bought these for my son, who is a medically retired Sniper and Ranger, who served 2 tours in Afghanistan. He loves the glasses, wears them every day and says they are the best he has ever had. Great for playing golf and being out in the bright sun. Very good sunglasses. Was hoping theyd fit a little better. Nose rest needed pads. I dont care at all for the fit. They are too small tight fitting at the temple of the head. Love these glasses. I had to order 2 additional pairs for people that admired them. Saw others with similar glasses that paid significantly more. These work as well or not better than the ones that cost $20 or more than a pair. These hug your head better that the old ones I had that cost me $20. I bought two of these for less. The glasses work great, but the pair I bought my wife, they broke above the lens . I guess a motorcycle trip was to rough for them. I would still recommend these glasses they are great. Thats the reason I gave them a rating of 4 stars is because my wifes broke. These are the best sunglasses I have ever bought. I liked them so much I just ordered 3 more pair for my friends. 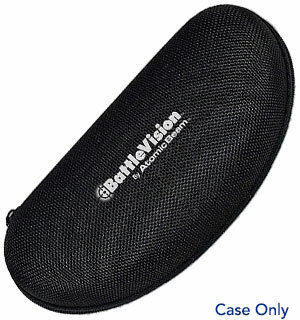 These are great, cut down glare, are stylish and come in a protective case. Glad I bought several. I bought 2 of these, one for me and one for my husband. 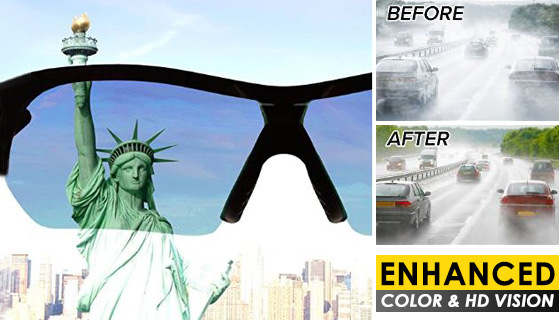 They really allow you to see clearly in bright, blinding light driving against afternoon sun or just helping keep from squinting during a normal day. We really like them and would recommend. They are also very durable. My husband and grandson love them. The colors are so crisp. the results were just as advertised. reduced sun glsre when driving. So far they seem to be ok. I only use them when Im driving.I just HOPE they hold up well. Im hard on sun glasses. Though the polarization works the vision is very poor. I washed the glasses w warm water but the vision did not improve. I need clear vision at work. But do think they are ok safety glasses. These arent as amazing as the TV ad makes them out to be, but they look cool and at Pulse TVs low price, its worth having a pair. Work as advertised. Very good sun and UV protection put together well with 4 screws. True wrap around, with no sun getting in, which, as a golfer, is very nice. Would recommend. Look at your local Walmart though first, just saw them there yesterday at season-ending clearance for $5.00. Quality was better than I thought it would be. Great for working in the yard. Very great sunglasses. They do what they say they do. I may buy more. These are super sunglasses. Makes everything sharp and clear. These are great at reducing glare, however they dont fit so good when you use them with Rx glasses.